Own the battlefield with the STEALTH Cruiser. The classic camouflage design is based on the familiar pattern of classic wars. 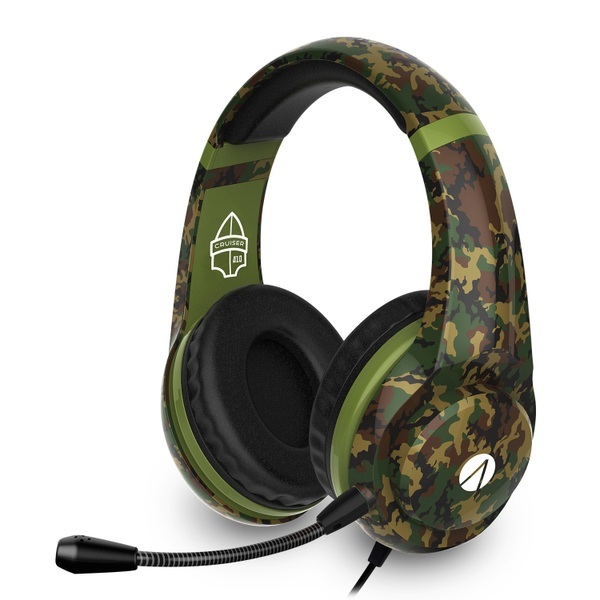 The design is based around power and versatility, from 40mm Speaker drivers to the 3.5mm Jack cable, hear every explosion, gun fire and command from your team in clear, crisp audio with the flexible mic. boom across any platform. Perfect for multi-format players - This stylish stereo gaming headset is compatible with XBOX ONE, Playstation 4, Nintendo Switch, PC, Mobile and Tablet. The STEALTH Cruiser gives you the competitive edge on any platform. Experience gameplay like never before - Immerse yourself into the action with 40mm Speaker Drivers set within soft leatherette comfort fitted ear cushions.